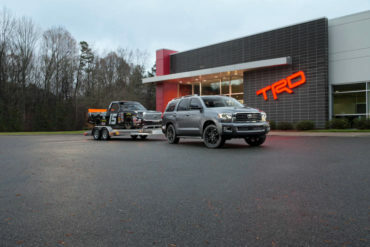 The 2019 Toyota Sequoia TRD Sport has black 20-inch wheels and TRD suspension upgrades. 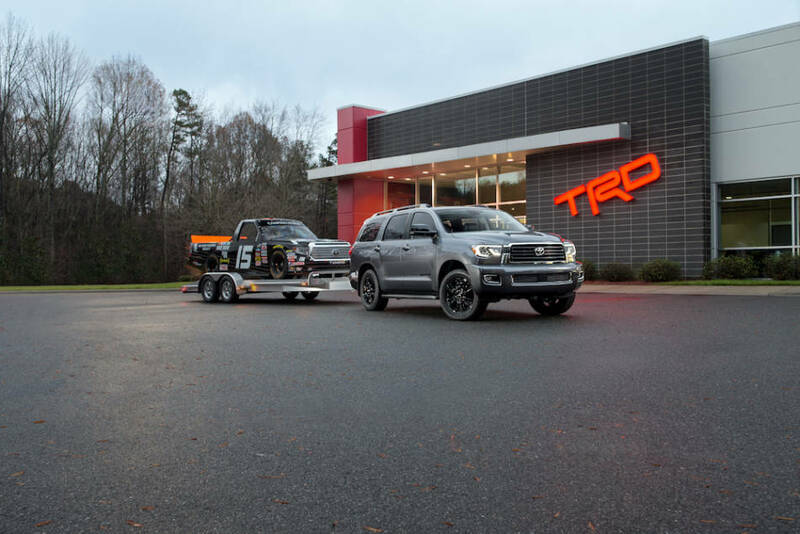 The Sequoia has lots of torque for towing. 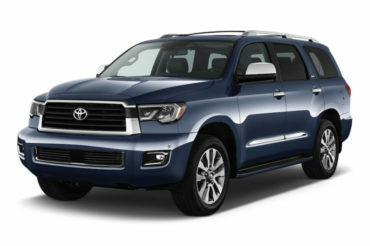 The 2019 Toyota Sequoia is handsome in a traditional, conservative way. The Toyota Sequoia is a big vehicle with ample room for big people. The front row is comfy and luxurious. 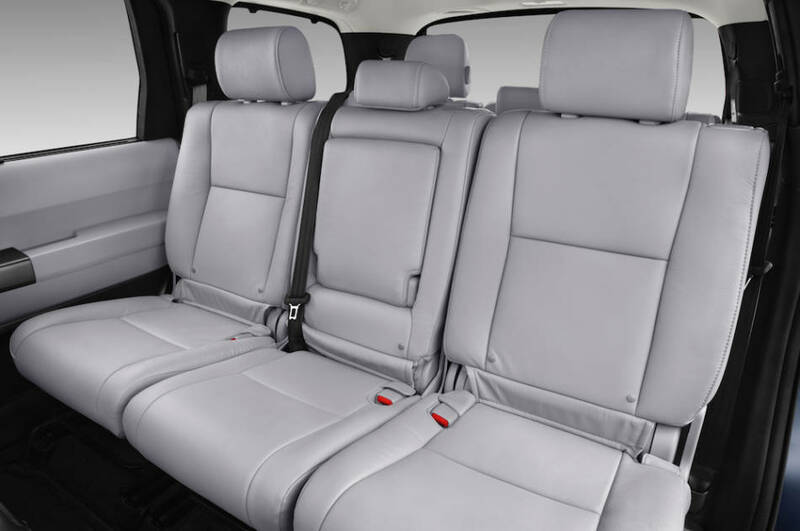 Second row seats are adjustable and offer almost limo-like space. 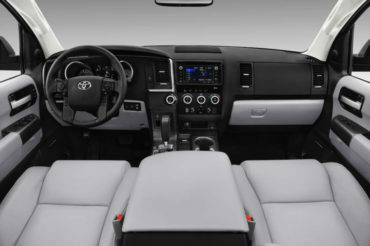 The padded armrest over the center console is huge. Cargo access is excellent with the big, wide rear lift gate. The cargo deck is flat. 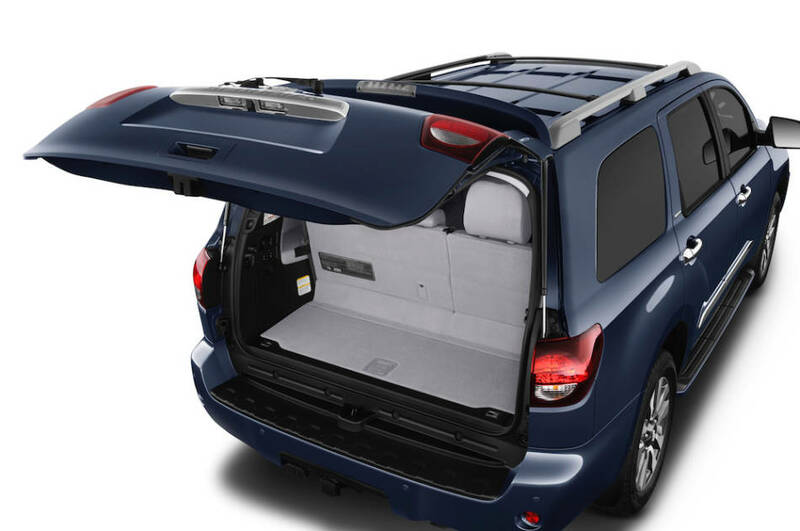 The 2019 Toyota Sequoia is a big bruiser of an SUV. It has a commanding presence. It’s a go anywhere do anything traditional three-row SUV. 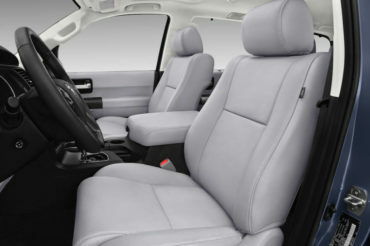 It’s spacious, comfortable, and capable, but hard on gas and slightly behind on technology.